The Unity Tower of Webber Independent. All Different - All Equal. We believe that everyone should be treated fairly, and this year we, as a school, want to celebrate our differences. Each year, all students from ages 4 – 18 read and sign the Webber Independent School Anti-Bullying Pledge, and are given a safeguarding leaflet. These are kept in student’s planner / homework diary, so everyone can understand the policies. Listening – All pupils, teachers and parents listen, to prevent, report and respond to any incidents of bullying. Include Everyone – All pupils are included and valued in all aspects of school life. Respect – All teachers and pupils are role models to others. Challenge – All pupils should stand up for themselves and others. Celebrating Differences – Differences are celebrated and welcomed across the whole school. Understand – All of the school staff, students and parents understand what bullying is and what it isn’t. Believe – All pupils are taken seriously and in incidents of bullying, they believe that they deserve better. Reports Bullying – Everyone understands how to report bullying, and the importance of speaking out. Takes Action – We always listen and respond quickly to incidents of bullying. Has Clear Policies – Everyone understands what they should do if there are any incidents, and how the policies help ensure everyone is treated equally. This year the whole school House competition Was to design a graffiti style slogan that represents themselves. The winners of each Key Stage are displayed on an Anti-Bullying graffiti wall. On Thursday 16th November, prefects helped all students from ages 4 – 18 to write positive phrases to help build a Tower of Strength. Every student in the whole school wrote a positive Anti-Bullying phrase on a rolled up piece of paper. 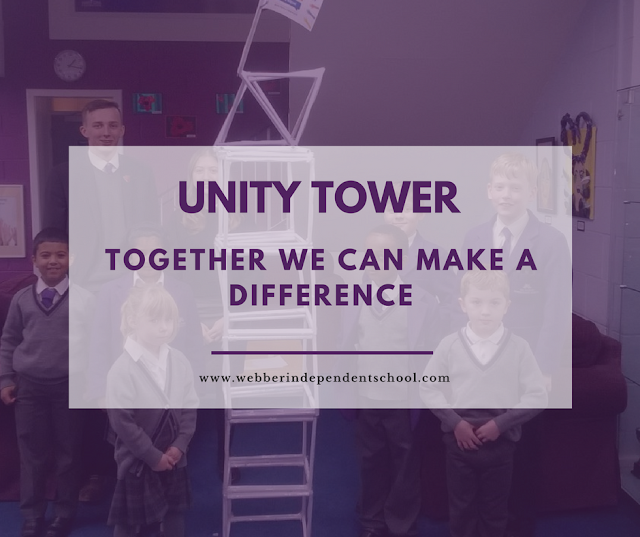 On Friday 17th November, students from classes throughout the school worked together, with Miss Chessum, to create the Tower of Strength. As part of our Anti-Bullying theme, students in year nine delivered an Anti-Bullying assembly titled ‘Peace and Conflict’. We received pay it forward cards, where we passed on a good deed for someone else, including good deeds for the wider community. Let’s see how far we can pay it forward!